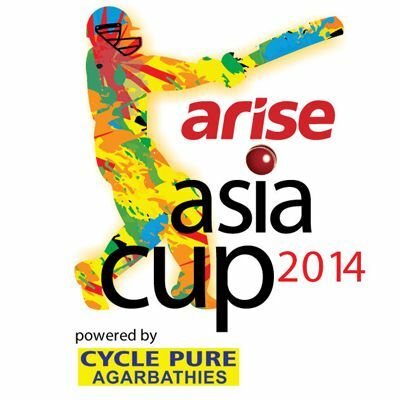 2014th Season Of Asia Cup Cricket Tournament Starts Today. There are 5 Asian teams In this Tournament. India, Pakistan, Sri Lanka, Bangladesh, Afghanistan are the teams in Asia Cup. The First Match Of The Tournament Is Between Pakistan and Sri Lanka. All The Teams Will Play Against the other 4 (Round-robin tournament Format). There are Total 11 Matches Including the Finals. India’s First Match at Asia Cup is Against Bangladesh on 26 February 2014. All The Cricket Match Will Start at 13:30 IST. Bangladesh Is Hosting, Fatullah and Dhaka are The Venues. Asia Cup 2014 is Live on Star Sports 1, Star Sports 3 and Star Sports HD 1 Channels. All The India Playing Matches and Finals Is Available on DD National Channel.Indian Captain Mahendra Singh Dhoni Not Playing the tournament Asia Cup 2014. Virat Kohli will lead Team India in Asia Cup. can you please post the links to watch asia cup 2014 online. Can we have CCL urdu/hindi commentator in the commentry box. He was famous for his line Kia Karara shot lagaya hay. I am positive he can make any match full of life.This is Asian cup can we have commentry in urdu/hindi please.you will see the difference. Thank you very much.